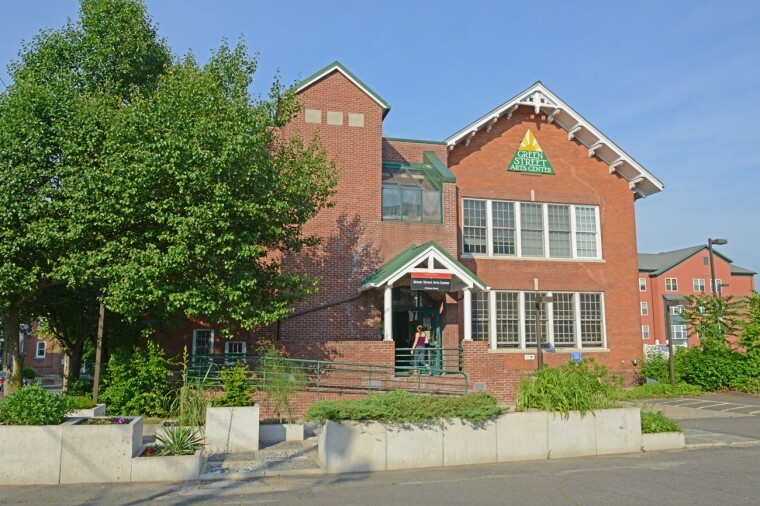 Green Street TLC serves 80 local children with its Discovery AfterSchool Program. Several Wesleyan students tutor the Green Street students. 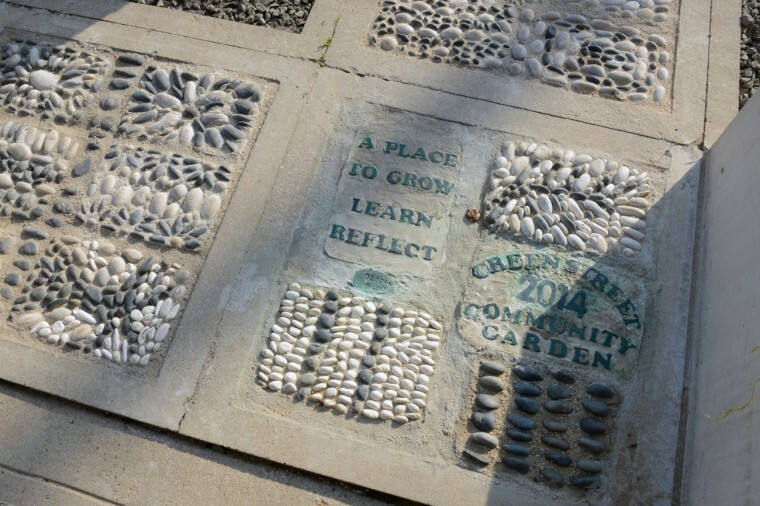 The Green Street Arts Center, also home to Wesleyan’s Project to Increase Mastery of Mathematics and Science, is now named the Green Street Teaching and Learning Center, or Green Street TLC. “This structure better represents the work we do in the community and also allows us to grow our programs in the arts, math, and sciences for kids, teachers, and our broader community,” said Director Sara MacSorley. On Oct. 16, the Green Street Arts Center hosted a “Math on the Move” workshop for area math teachers. 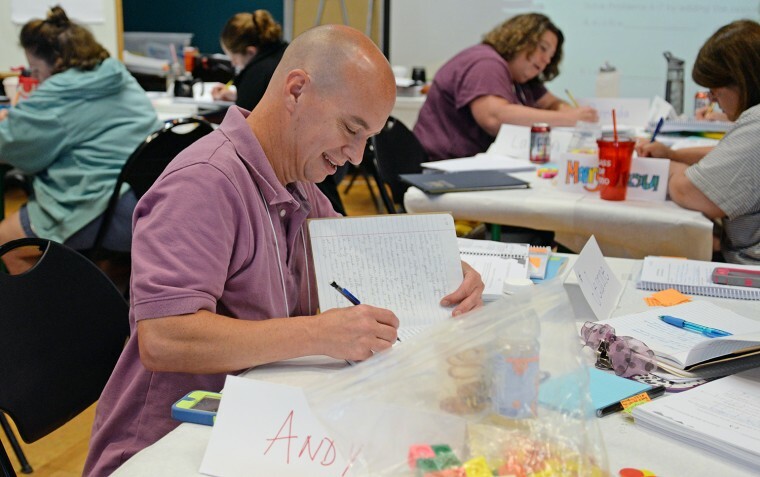 “Math on the Move” was a follow-up workshop for K-8 teachers who participated in the 2014 PIMMS Intel Math Summer Institute. 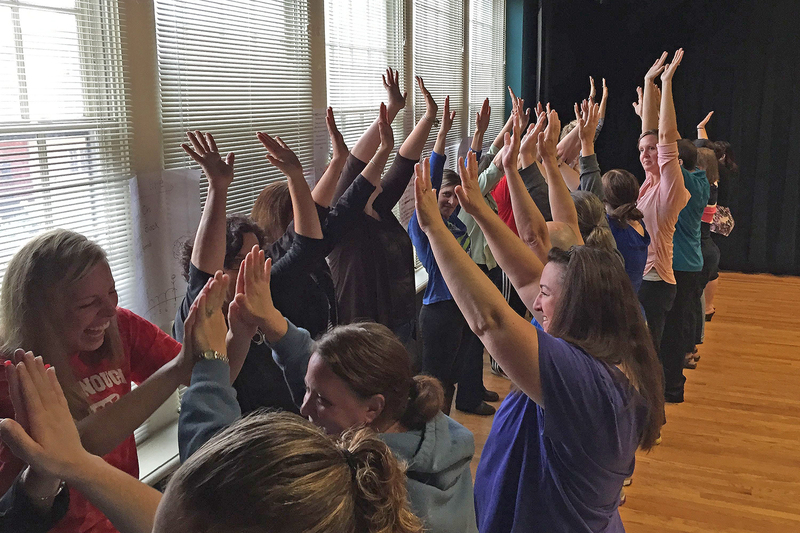 The Project to Increase Mastery of Mathematics and Science (PIMMS), a partner of the Green Street Arts Center, developed the course for Middletown and Meriden teachers, supported by the Connecticut State Mathematics and Science Partnership grant of $158,483. 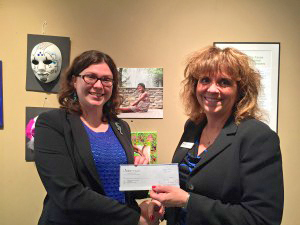 The Liberty Bank Foundation awarded the Green Street Arts Center with a $5,000 grant to support the center’s Discovery AfterSchool Program. The funds help provide scholarships for students who need financial assistance to attend the program. The Discovery AfterSchool Program offers a range of classes in the arts, math, and sciences for children in Grades 1-8. The program brings those things together in a safe space for children to build self-esteem and problem-solving skills. The AfterSchool team is made up of core education staff, professional instructors and Wesleyan students who serve as teaching assistants and homework tutors. Brian Northrop teaches a student at the Green Street Arts Center how to properly mix the putty’s ingredients. 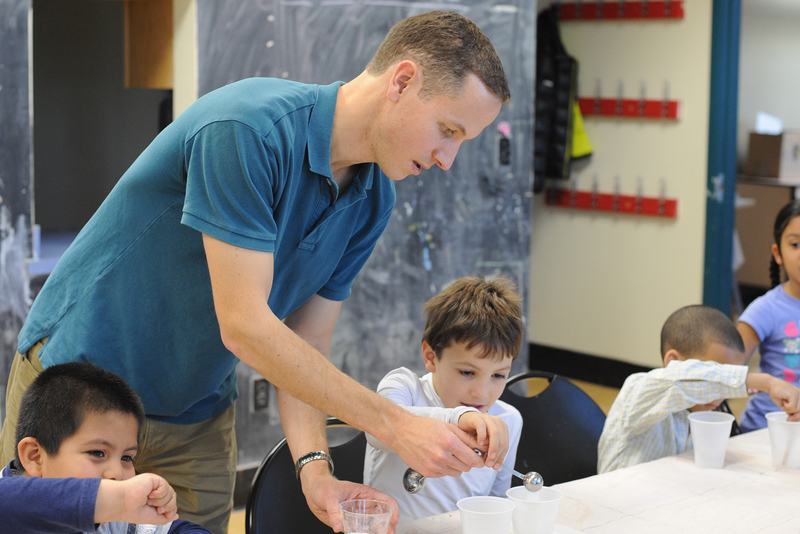 On Nov. 3, Brian Northrop, assistant professor of chemistry, spoke to students at the Green Street Arts Center about polymers. 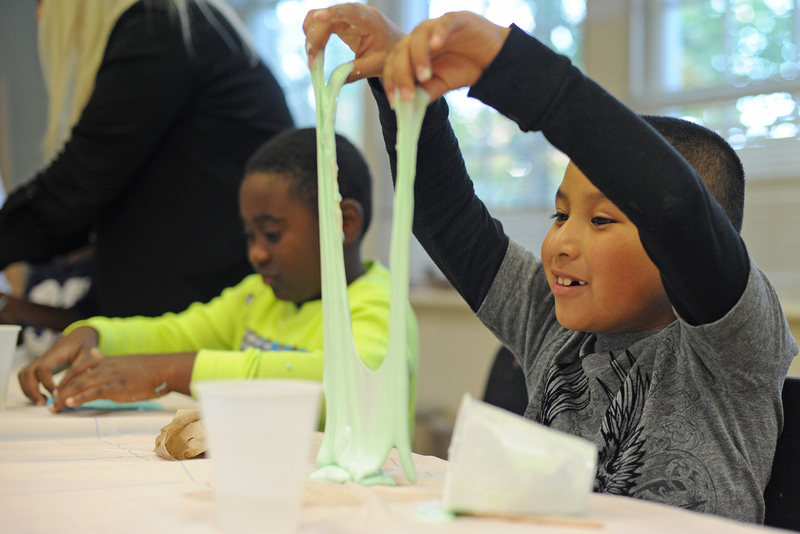 As part of the hands-on workshop, Northrop taught the participants how to make their own silicone polymer putty with glue, water, Borax and food coloring. Similar putty was accidentally invented during World War II when an American scientist working for General Electric in New Haven, Conn. was trying to create synthetic rubber using silicone oil and boric acid. 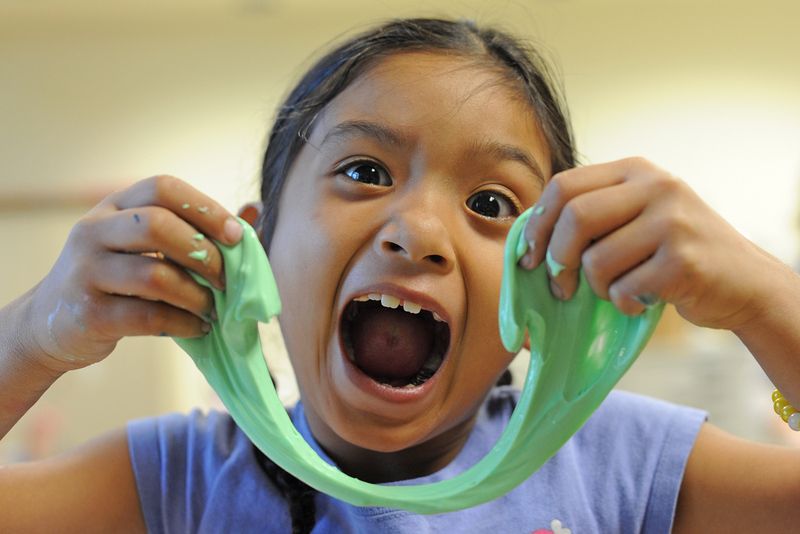 The result produced a “solid-liquid” goo that had a high melting temperature, could bounce when dropped, and stretch. The product is most commonly known as Silly Putty, a trademark of Crayola LLC. 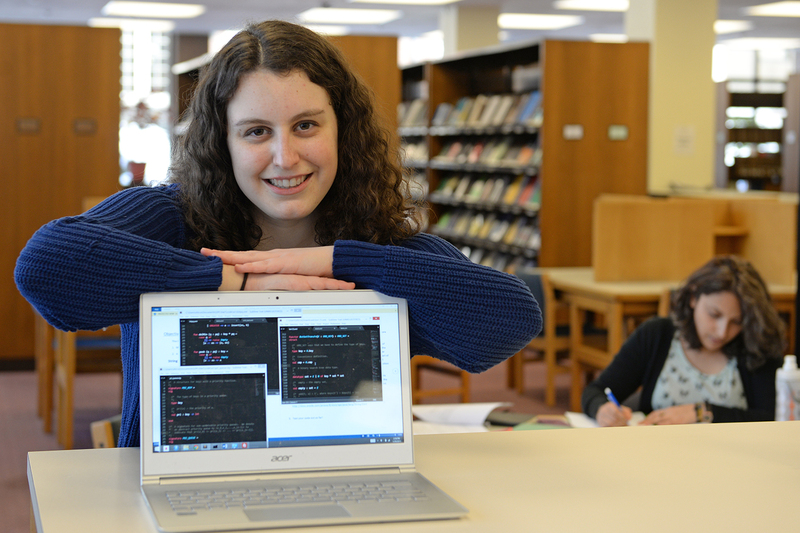 Northrop’s workshop is funded through a 2014 Faculty Early Career Development (CAREER) award. This is the second year that he’s taught students at the GSAC. 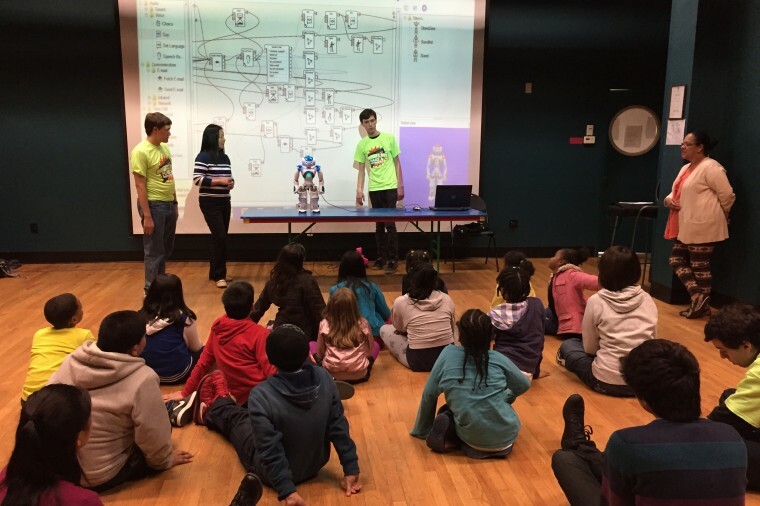 On Oct. 20, children at Wesleyan’s Green Street Arts Center were treated to a robot demonstration led by students from Middlesex Community College. 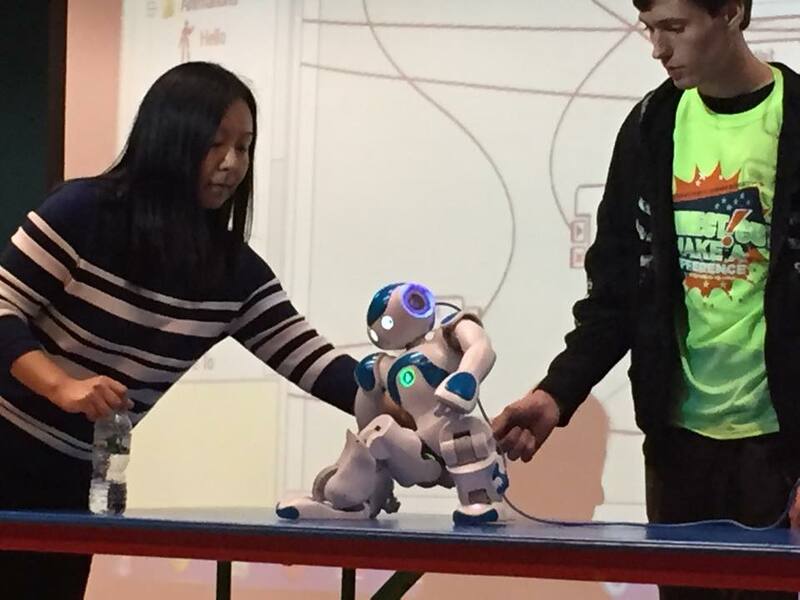 The robot, named Mixy, put on a show for the kids ranging from following basic commands to displaying his tai chi moves. Wesleyan students assisted with the presentation. Joseph Smolinski, visiting scholar at Wesleyan’s College of the Environment, is a guest artist at the Green Street Arts Center this month. 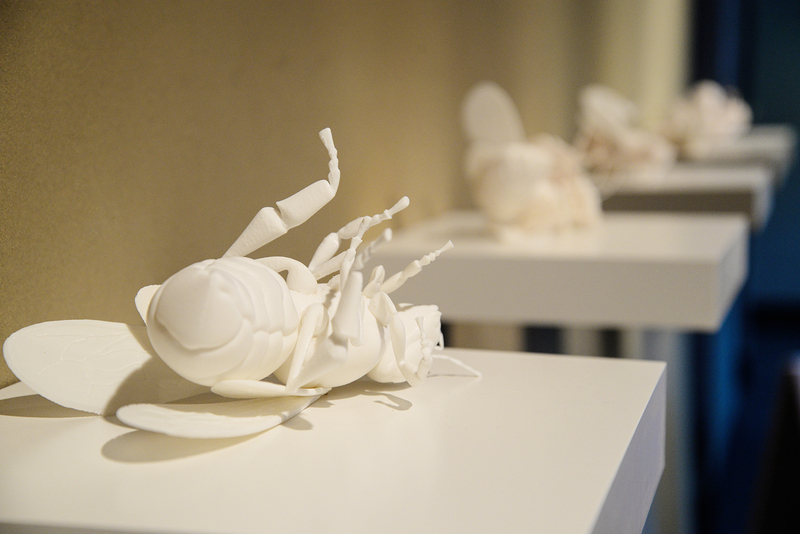 His exhibit, Colony Collapse, explores the recent disappearance of millions of honeybees. The work focuses on the notion of collapse in relation to human impacts on the environment in drawing, video and 3D printed sculpture forms. The mysterious disappearance of millions of honeybees – known as colony collapse disorder – has frustrated and worried scientists around the world for more than seven years. The visiting scholar at Wesleyan’s College of the Environment explores this mystery in a new exhibit at the Green Street Arts Center that opened Sept. 4. 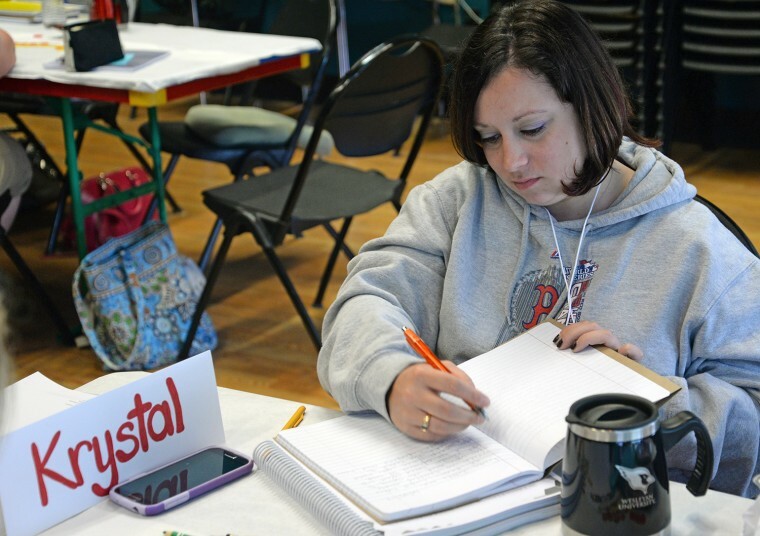 Wesleyan’s Project to Increase Mastery of Mathematics and Science (PIMMS) is hosting an Intel Math Institute for local teachers. PIMMS, a partner of the Green Street Arts Center, developed the course for Middletown and Meriden teachers. Thirty K-8 teachers are attending, along with two teaching artists from Green Street. The 10-day Institute began June 23 and offers a space for interdisciplinary teaching and learning. 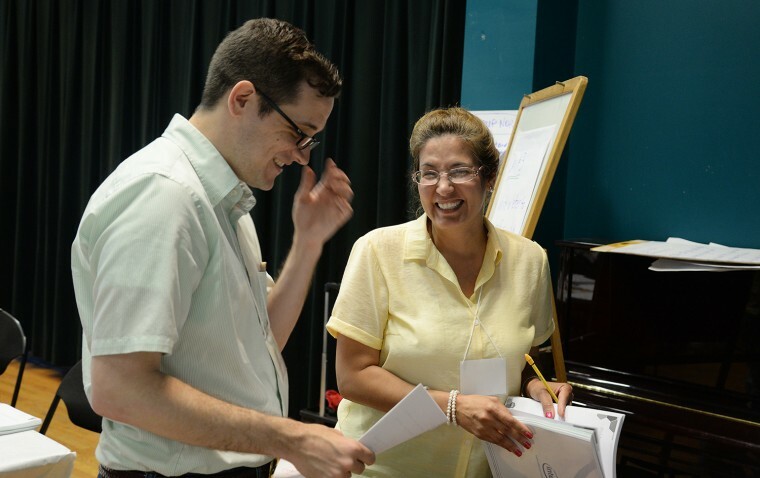 The Institute is co-taught by Christopher Rasmussen, assistant professor of mathematics (pictured at left), and math education specialist Sharon Heyman, currently the only Intel-trained instructors based in Connecticut (not pictured). Rasmussen taught an Intel Math course to teachers in the Danbury, Conn. area in 2013. Sara MacSorley, director of PIMMS and the Green Street Arts Center, is serving as project coordinator. 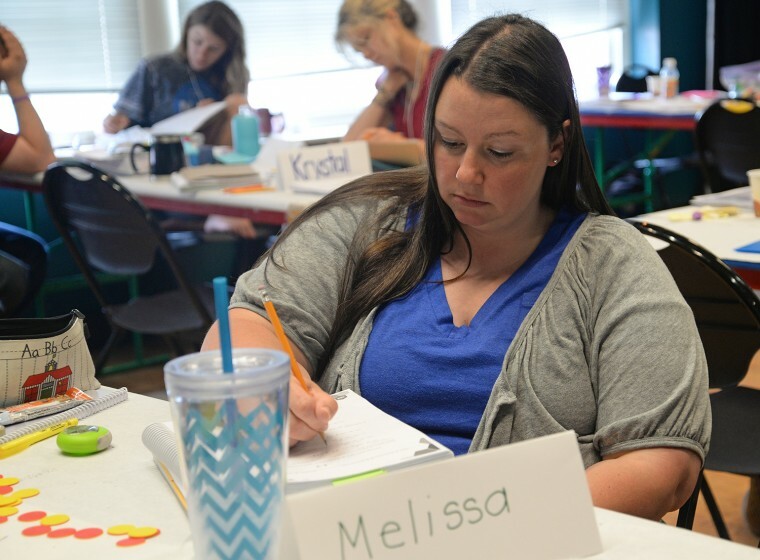 The Institute pairs an intensive, 80-hour math course with ongoing academic-year professional development and arts integration workshops, to help teachers link common concepts to classroom instruction. The institute is supported by a Connecticut State Mathematics and Science Partnership grant. Wesleyan staff and the Green Street Arts Center are helping to make a dream come true for a Middletown girl with a life-threatening illness. During a “Wish Granting” Ceremony June 17 at the Green Street Arts Center, Middletown resident Hannah received multiple donations from the Make-A-Wish Foundation, Wesleyan University and Broad Street Books. Nikon donated a zoom lens. Hannah Vecchitto, 14, is passionate about photography and received a brand new camera for Christmas. Her dream, which she shared with Make-a-Wish Connecticut, was for the opportunity to learn the camera and the art of photography, as well as have the technology to work on her own photography as a true artist. Make-a-Wish Connecticut grants wishes for children between 2-1/2 and 18 years old who are suffering from life-threatening medical conditions. This year, the Connecticut chapter, one of more than 60 regional chapters in the U.S. and its territories, is on track to grant 170 wishes. According to Michael Dominick, community and media relations manager for the Make-A-Wish Foundation of Connecticut, each eligible child is assigned two wish granting volunteers. The volunteers meet with the family, get to know the child and help figure out how to fulfill his or her wish. One of Hannah’s volunteers reached out to Wesleyan for help in granting her wish. On June 17 at Green Street Arts Center, Hannah was presented with a new Nikon camera lens and Macintosh computer equipped with photo-editing software. She also was given coupons for lessons in photojournalism and nature photography with Olivia Drake, campus photographer and editor, as well as fine art photography and photo editing lessons with Roslyn Carrier-Brault, administrative assistant in the Chemistry Department and a photography teacher at Green Street. Green Street also offered Hannah an opportunity to exhibit her photographs later this year. In addition, Broad Street Books outfitted Hannah and her brother with Wesleyan gear. Janan Unghire, owner of Sweet Pea Quilts & Crafts in Ivoryton, also is donating a photo quilt with 12 of Hannah’s photos. Carrier-Brault, a cancer survivor, started taking photos 20 years ago and now focuses her craft on expressive art therapy. “I am grateful to receive this amazing opportunity to share my love of photography. It my hope to provide Hannah with the skills to expand her natural photographic talents and to lead her into discovering that small inner voice, which sparks creativity into becoming a powerful tool for healing,” she said. Like Hannah, Drake received her first camera at age 14. She’s been taking pictures of Wesleyan’s campus and campus events for almost 10 years, and photographs wildlife as a hobby. The Make-A-Wish Foundation of Connecticut donated photo editing software as part of Hannah’s wish to be a professional photographer. Pictured at left is Hannah’s brother, Calvin. 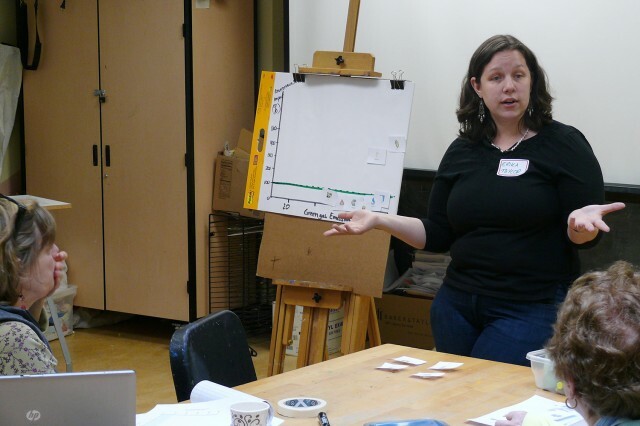 On April 26, Erika Taylor, assistant professor of chemistry, assistant professor of environmental studies, led a biofuels workshop for area teachers at the Green Street Arts Center. Taylor led a presentation about her biofuel research and led an activity where the teachers made biofuel from cooking oil. 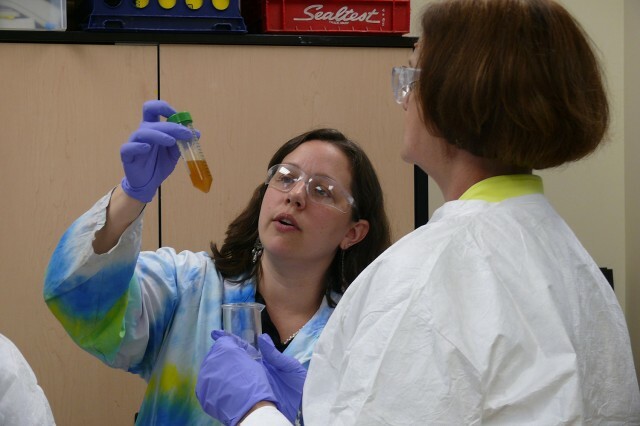 The workshop was funded by a Connecticut Teacher Quality Partnership grant, which supports professional development of high school teachers in alternative energies and project-based learning.